Does fateful showdown do damage before you discard? I've been playing kess storm to great success for the past 2 years now. 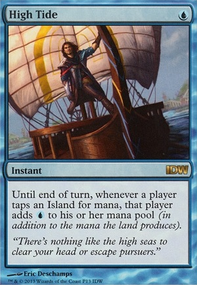 A card that sees a lot of play in vintage and that worked great in kess too is Paradoxical Outcome . 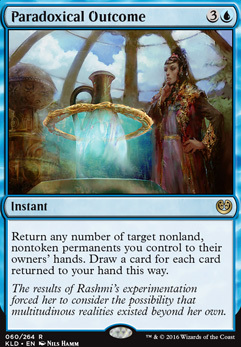 It seems to me with shimmer myr out and all the mana positive rocks that this could work out great for both recasting your rocks and drawing into more gas. What are your thoughts? Intuition is great. I knew it felt like I was missing some powerful tutor. It is definitely being added. Paradigm Shift seemed decent, which was why it was in the maybeboard, but I've had a day to think about it and I agree it should be in here. I'm not sure I need Windfall . 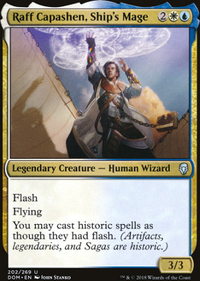 I did consider it, but I think most of the time Tolarian Winds is going to be better since the odds are that I won't draw it until I'm comboing off anyway. 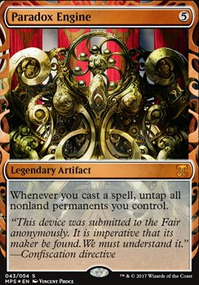 Panharmonicon is in because I have a strong feeling I'll need to rebuild many times, and this helps me do so. But you know what? Let's go more defensive. This is going to be a Defense Grid . Mox Amber is terrible in commander, usually. I play it none of my other decks. I think it's perfectly fine in this deck since I'm only trying to get to 6 mana and Fblthp should be in play most of the time. Daze is probably fine to cut, I agree. I also do not know what the point of Paradoxical Outcome was. When I built this list at work, I first settled on a number of lands to run and then all I did was add cards until I had exactly 100, and the maybeboard cards on here were all cards I thought of afterward. Up until now, I haven't touched the list since I made it. I think I had some dumb idea with it originally but never followed up with whatever it was, so yeah it needs to change. 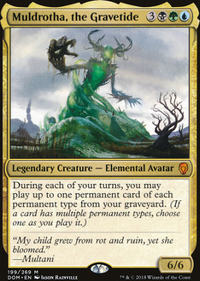 I'd also reccomend Paradoxical Outcome , that's an all star in my Kess deck. Have you tested with Paradoxical Outcome ? It seems like a must have in this type of strategy but I could see an argument for where you might need too many things to go right for it to work. Guess it depends on the average board state this list develops. You deck has made quite a few changes since the last time I saw it. I must say I like how the deck is coming together. I would like to know what your thoughts are on replacing one of the signets with a Basalt Monolith . 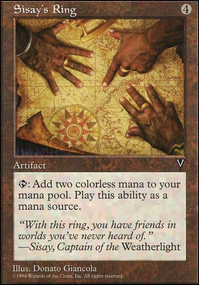 My reasoning is that it by itself allows infinite (albeit colorless) mana with your Dramatic Reversal / Isochron Scepter combo as well as going infinite with the Rings of Brighthearth you already have included.